Apologies for the radio silence here in my blog. Life has been very busy and I have prioritized riding, training and family over blogging. Proper winter weather arrived here in Southern Finland finally after Christmas. 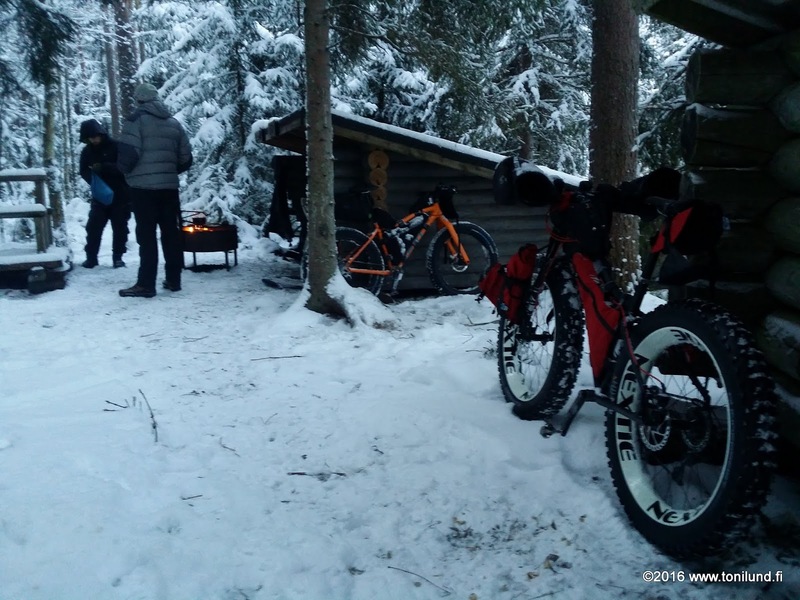 Last week we got fair amount of snow so it was time for an overnighter and more some serious training for Rovaniemi 150 race in late February. Perfect area for this is of course the National Park of Kurjenrahka. The usual suspects, Peter and Juha, were also on the move. My plan was to join them in the night between Saturday and Sunday I started riding from home around 23:00. On the Vajosuo forest road. I forgot to charge the battery of my helmet light but single Lumicycle Explorer unit is very bright and you don't need that much light when there are snow everywhere. I rode via Vajosuo shelter and Antti Sintonen was sleeping there. He woke up briefly. After few words I continued to the Vajosuo mire. 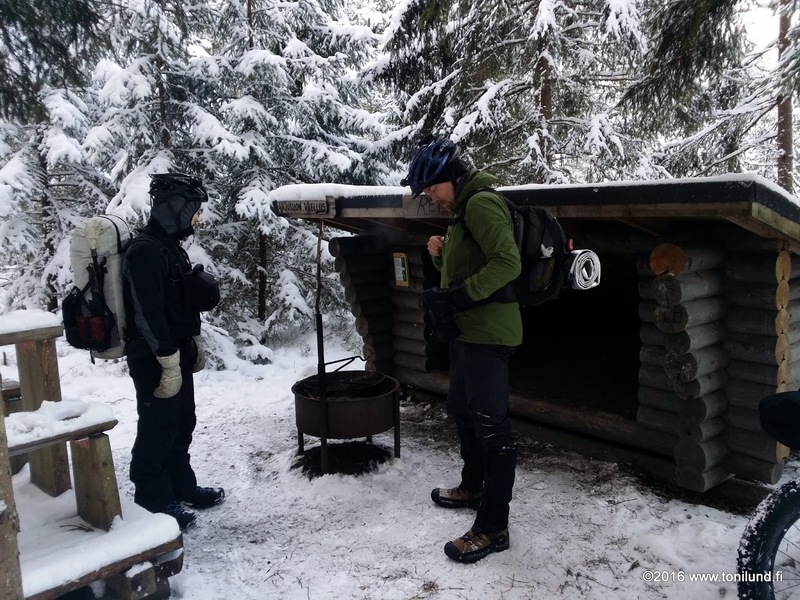 Peter and Juha had been riding and pushing their bikes here in the evening, so it was easy to follow their tracks to the Rettu shelter. It was tough but great going on the mire. After it there was some bike pushing through a forest to the trail. After ~45 km of riding and some pushing I was there. The clock was past 03:00. What a night! The morning was beautiful, and the usual chores followed. After rather slow morning we continued to Rantapiha. Near Savojärvi I got a resupply of water from Peter and Juha as I had several hours of riding ahead. The guys would leave to home with their cars. The first section of the trail towards Töykkälä was easy to ride as hikers had done some grooming. The Kurjenrahka mire. It's truly amazing place, especially in winter time. That's why I call it 'winter paradise'. I followed again Peter's and Juha's old tracks that would lead me eventually to Töykkälä. After the magnificent mire that was partially rideable I was on the sketchy, notorious trail with all the broken duckboards. I found myself pushing my bike more than riding it. Nevertheless, it was good hard training. I reached Töykkälä around the sunset. I had still about 42 km of riding on the small roads to home. I was pretty tired and had to really command myself, but after 8 hours I was back home. Really happy that I got the full benefit from this weekend. All in all, it was also massive training week, with 22 hours 35 minutes and 360 km. Thanks Peter and Juha for the company. 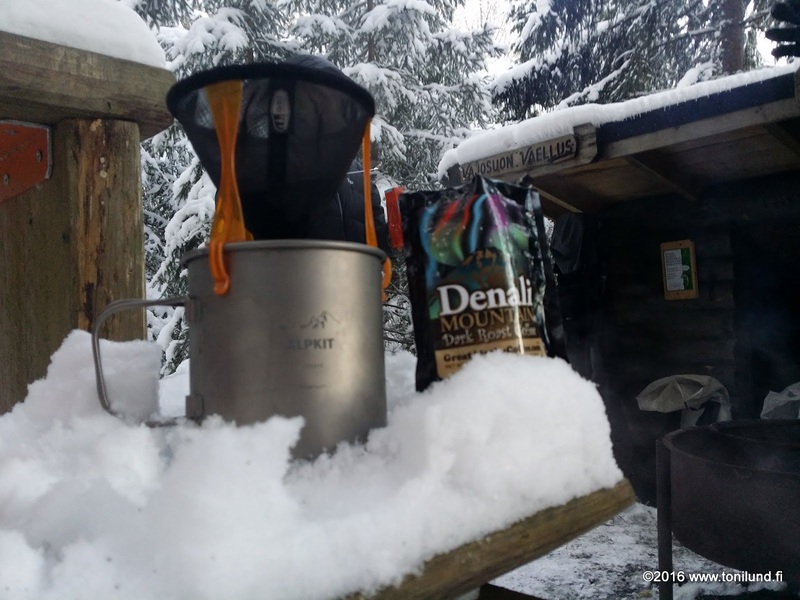 Check out Peter's blog report and Juha's photos here.